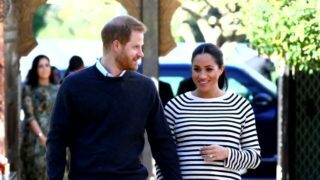 Boy or girl, Prince Harry and his American wife Meghan's first child will be bold and courageous, and Harry will be the more patient parent, according to a U.S. astrologer. 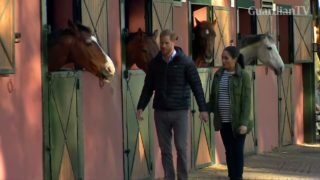 Britain's Prince Harry and his pregnant wife Meghan visited Rabat on Monday to learn more about an equine therapy programme for children with special needs. 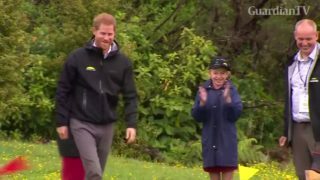 Britain's Prince Harry and his pregnant wife Meghan tried their hand at 'gumboot' throwing on Tuesday, when they attended a Queen's Canopy dedication ceremony at Redvale in New Zealand. Meghan, Duchess of Sussex, was rushed out of a market in Fiji's capital on Wednesday (October 24) due to security concerns over "crowd management issues", the Kensington Palace suggested. 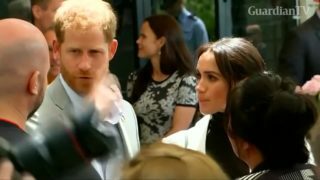 Britain's Prince Harry and his wife Meghan attend a lunch hosted by the Australian Prime Minister Scott Morrison in Sydney, where they met with Invictus Games athletes and children from a mental health foundation. On the eve of the Royal Wedding, the eyes of the globe are on the UK town of Windsor. While some businesses are capitalising on the country's biggest event of the year, authorities are trying to keep the homeless hidden from view. 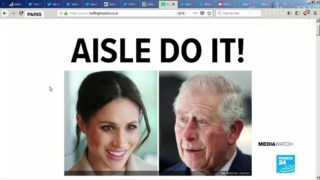 Meanwhile, Prince Charles will walk Meghan down the aisle, but - it seems - she's trying to stay true to her feminist beliefs.